Alexandria Automotive Services are your local car service experts. Operated by Kyle and Nick, Alexandria Automotive Services are here to help you. Alexandria Automotive Services service and repair all makes and models and are up to date with the latest diagnostic equipment including late model European and Asian vehicles. LOG BOOKLog book servicing – carrying out a log book service at Alexandria Automotive Services will ensure that your new car warranty stays intact as we use only quality manufacturer equivalent parts and oils which will NOT void your new car warranty. If you’re looking for a reliable mechanic in Redfern, Alexandria, Waterloo, or nearby areas, you can rely on the experts at Alexandria Automotive Services. With over a decade of experience, we’re the sure choice if you’re looking for a mechanic of experience, quality and value. We’re committed to providing our clients with the very best possible services – after all, we’re a highly-qualified mechanic! Alexandria, Zetland, Erskineville and surrounding NSW locals love our work and we guarantee you will as well. We cover the lot when it comes to repairs and maintenance – everything from air conditioning service to car batteries, tyres to brakes, computer diagnostics to mechanical and electrical repairs, roadworthy certificates to pink / blue slips! 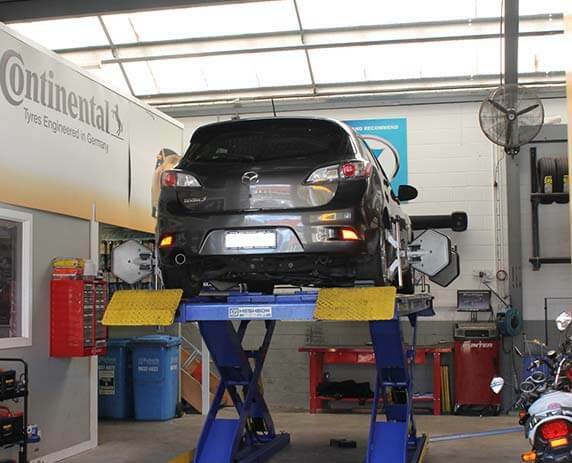 No matter what you need from a mechanic, Alexandria, Redfern, Zetland and Waterloo locals can rely on us – We guarantee you’ll feel that smooth driving difference the moment you drive out of our workshop! When you choose Alexandria Automotive Services as your local mechanic, you won’t be disappointed with our quality workmanship and exceptional customer service. Our goal is to put our customers first – we talk you through what repairs your car needs, how we will fix it and what affordable price we can offer. Do you need a trustworthy local mechanic in Waterloo or Redefern? Get in contact with the mechanic experts at Alexandria Automotive Services today to book in your service. Give us a call on (02) 9699 8831, email us at info@alexandriaautomotiveservices.com.au or fill out the enquiry form on our Contact Us page and we’ll get back to you shortly. If you are looking for an experienced auto electrician or mechanic in Redfern, Waterloo, Erskineville and surrounding suburbs, call Alexandria Automotive Services today! Attention to detail and an overall comfortable experience dealing with them. They were able to squeeze us in just in time before our drive to the snow. I found the team at Alexa..
Alexandria Automotive gave me flexibility and service that my dealership never did. I was impressed by the efficient service and they kept me informed of all my options. Much better th..
Really happy with the Friendly staff, who always help us with our small car queries and servicing! T..